If you're worried about the types of websites your children are visiting you should use this app to limit their access to the internet. You choose what websites your child can visit. 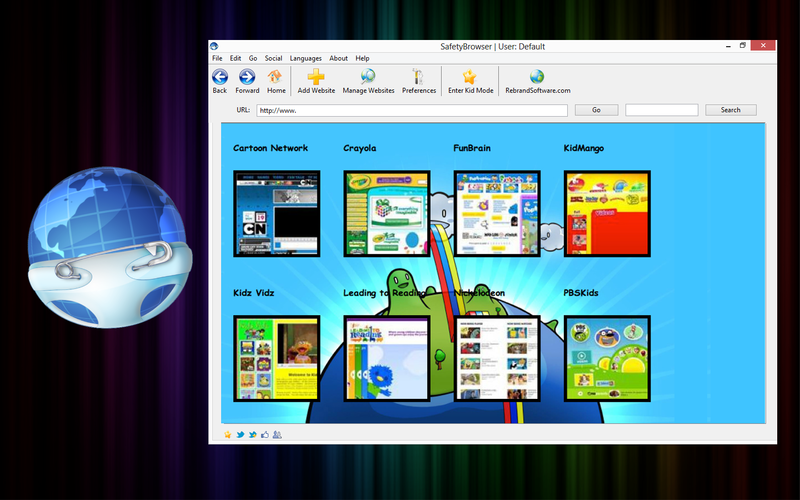 The app creates a colorful homepage for your child with screenshots of each of their websites. It then limits their use of the internet to only websites you have allowed. Any links to outside websites are blocked. I developed the app for my three year old daughter. She loves having her own homepage, and I love giving her the ability to explore the internet safely. Try it today! Very helpful, lets my daugher browse sites in full screen mode and I don't have to worry that she will stumble onto unapproved websites. We really only let the kids use a handful of web pages so this is perfect to let them explor on their own.